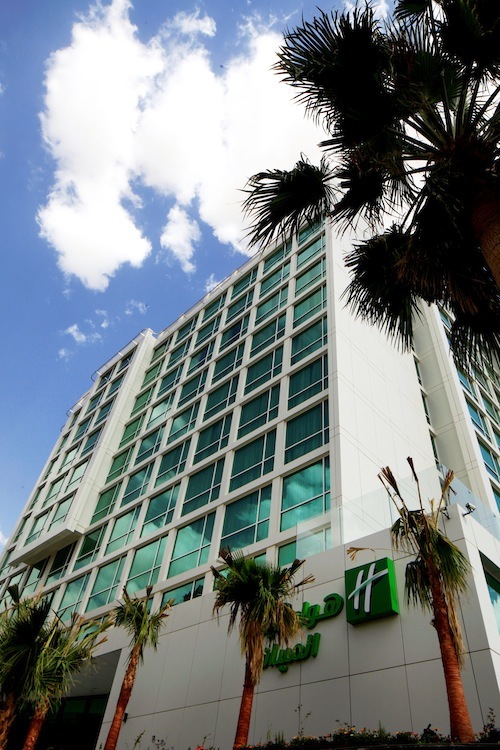 IHG (InterContinental Hotels Group), the largest international hotel group in Saudi Arabia both by number of rooms and number of hotels, today announces the opening of Holiday Inn Riyadh Meydan in downtown Riyadh. The eight storey hotel is located close to the vibrant business district, Olaya, within easy reach of the iconic Al Faisaliyah and Kingdom Tower and linked to the city and King Khalid International Airport by major roads. Holiday Inn Riyadh Meydan delivers comfort and relaxation and promises friendly service and modern facilities at excellent value. Its 290 rooms include 46 spacious suites featuring Jacuzzi bathtubs in the en-suite bathrooms. The hotel offers guests a choice of several dining outlets, including the all-day dining restaurant, Oasis. Located in the hotel’s atrium, the restaurant offers a variety of cuisines in a modern setting. Guests also have the option of the Tea Garden which provides continental and oriental cuisine in a relaxing backdrop. A modern gymnasium with sauna and spa facilities are on offer, as well as a colourful kids’ area so parents can relax as their children are entertained. Catering for the business traveller and conferences and events market, Holiday Inn Riyadh Meydan’s conference floor offers 16 meeting rooms to accommodate a variety of requirements: from boardrooms for 10 people, to larger venues that can host conferences of up to 120 people. Holiday Inn, which turned 60 last year, has a long history in the region, with the first Holiday Inn hotel opening in 1977 in Oman. Today, there are 3,445 properties in the Holiday Inn brand family globally, with another 694 due to open over the next five years. IHG opened the first international hotel in KSA in 1975 and the Kingdom continues to be a major focus for the hotel group, representing the largest pipeline for new hotel openings in the region with a further seven hotels scheduled to open in Saudi Arabia by 2018. Guests can book rooms now at the Holiday Inn website – www.holidayinn.com. IHG’s Best Price Guarantee promises any guest who finds a qualifying, lower room price elsewhere online a free night and the rest of the stay to match the price.